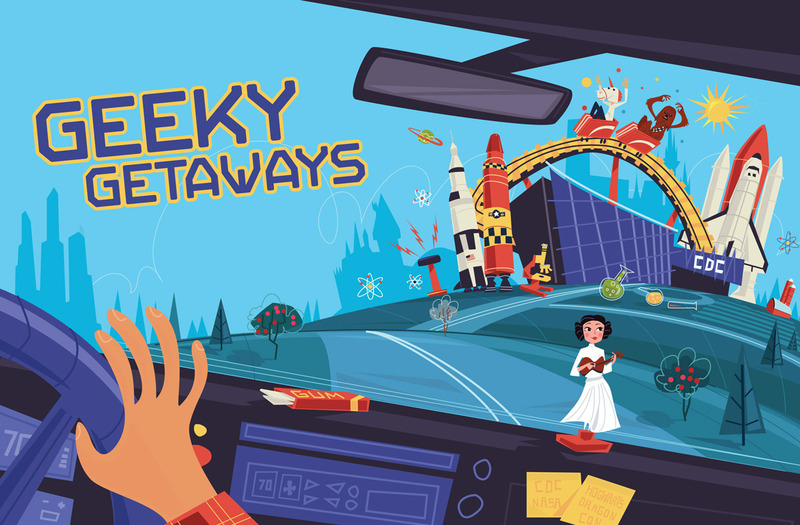 Between NASA space centers, historic missile sites, and a museum about infectious diseases, the southeastern United States is dotted with sites sure to delight every traveler’s inner geek. Sometime between the ninth incarnation of Dr. Who and the rise of The Big Bang Theory, we entered the Age of the Geek. The word, once a playground taunt for brainy, bespectacled misfits, has evolved into a badge of honor, signifying a special kind of obsessive enthusiast. To be a geek is to possess both passion and knowledge—along with a stubborn notion of what constitutes a good time. So break out your horn-rims, because the southeastern United States offers enough whiz-bang, Space Age sightseeing to make The Jetsons look downright prophetic. In fact, the landscape is dotted with destinations sure to entertain everyone from the budding scientist to the zombie fanatic. Call it revenge of the nerds. Geek is undeniably chic. In 1957, the Soviet Union launched Sputnik, the world’s first artificial satellite. A year later America joined the Space Race with the establishment of NASA, and the agency went to work building field centers and facilities across the nation, many in the southeastern United States. Still a hotbed for interplanetary exploration, the region is packed with points of interest sure to appeal to galaxy-gazing geeks. Some of these destinations are ephemera, while others are still active, but all are guaranteed to take you out of this world. 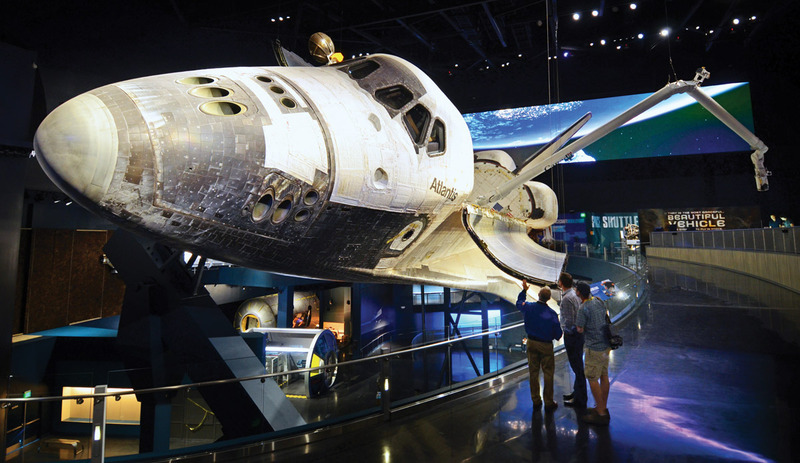 It’s three, two, one, blast off at NASA’s Kennedy Space Center Visitor Complex at Cape Canaveral, Florida, where you can catch real-life rocket launches on resupply missions to the International Space Station and meet working astronauts. In addition to bimonthly launches (and perhaps more soon, as Elon Musk’s SpaceX gears up to launch twice weekly), the center wows visitors with a staggering collection of spaceships and rockets. These include an Apollo lunar module and crew capsule, the Space Shuttle Atlantis, and the 363-foot Saturn V, the tallest, heaviest, and most powerful rocket ever operated. Continue your cosmic quest in Pearlington, Mississippi, at NASA’s Stennis Space Center. A federal city of more than thirty facilities devoted to scientific innovation, it operates the largest rocket-engine test facility in the country. While some areas are top-secret, visitors can check out the Infinity Science Center, NASA’s official visitor center for Stennis; look for the massive rocket booster sticking out of the swamp near the Louisiana border—it marks the entrance. Infinity offers guests a glimpse of the real-life work being carried out at the Stennis labs. Infinity’s ever-evolving exhibits take their cues from the real-life work being carried out in the Stennis labs. If you want to see the test sites for the RS-25 rocket engine that will one day go to Mars (and could even take humans into deep space), hop on the center’s forty-minute bus tour. When you return to the center, prepare for galactic travel in the Omega Flight Simulator. As the story of space exploration plays out on a big screen, the simulator whirls you around using the same technology used to train pilots. After splashdown, head to the Odyssey Gift Shop for a package of freeze-dried Astronaut Ice Cream, the very same treat that’s stashed on the International Space Station. 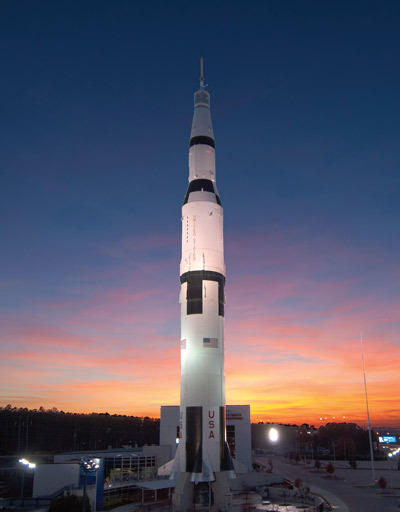 More than half a century of space exploration has yielded a spectacular array of high-tech hardware, and the world’s largest collection of rockets and missiles can be found at the U.S. Space & Rocket Center in Huntsville, Alabama. While you’re there, take a bus tour of Redstone Arsenal, the closely guarded headquarters of the Army Materiel Command. Have lunch at the Mars Grill, featuring aeroponic gardens with crops suspended in mid-air and sprayed with nutrients just as they would be in space. Fill up on cosmic bites like star-shaped tater tots, but note that this establishment is strictly BYOT: bring your own Tang. The center also hosts a variety of camps for budding astronauts ages nine to eighteen—some daylong, others weeklong. During these popular events, kids tinker with robotics, scuba dive in the astronaut-training program, and zoom down a 150-foot zip line in a simulated parachute water landing. Grownups need not be jealous: There are also weekend camps for adults and families. 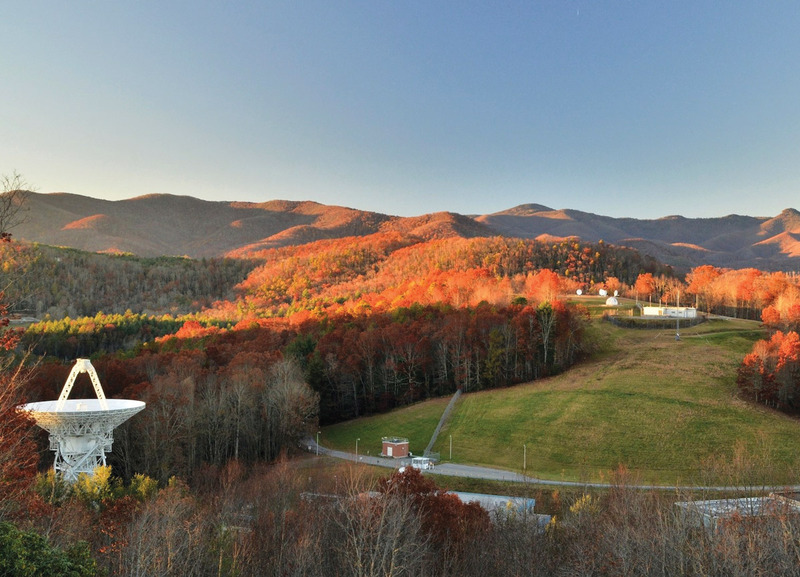 To contemplate the heavens while taking in our planet’s natural beauty, visit the Pisgah Astronomical Research Institute (PARI) in Rosman, North Carolina. Billed as “the foothills of the universe,” this site in the Pisgah National Forest was NASA’s first East Coast satellite-tracking facility, selected for its isolation and protection from manmade light pollution and radio interference. Come for the monthly presentations on current astronomy, and do some stargazing through PARI’s high-powered telescopes. To gain some perspective, stroll the Galaxy Walk, a scale-model sculpture trail of the solar system. And visit the center’s galleries, which showcase hundreds of meteorites, including a fragment of the first one observed falling to earth in 1492 in France. From a secret city where groundbreaking work in experimental physics took place during World War II to the headquarters of a national agency charged with battling global health crises, Southern-based centers and labs are responsible for some of America’s most revolutionary scientific work. Grab your safety goggles and go behind the scenes. In 1942, government officials embarked on a highly classified plan to end World War II. It required the construction of an entire city from the ground up in Oak Ridge, Tennessee, some twenty miles northwest of Knoxville, and the recruitment of 75,000 patriotic workers—most of them young women—who were promised good pay for steady but unknown jobs that supported the war effort. What they weren’t told is that they were part of an effort to enrich uranium for the world’s first atomic bomb, an endeavor known as the Manhattan Project. Discover this “Secret City” during a visit to Oak Ridge. 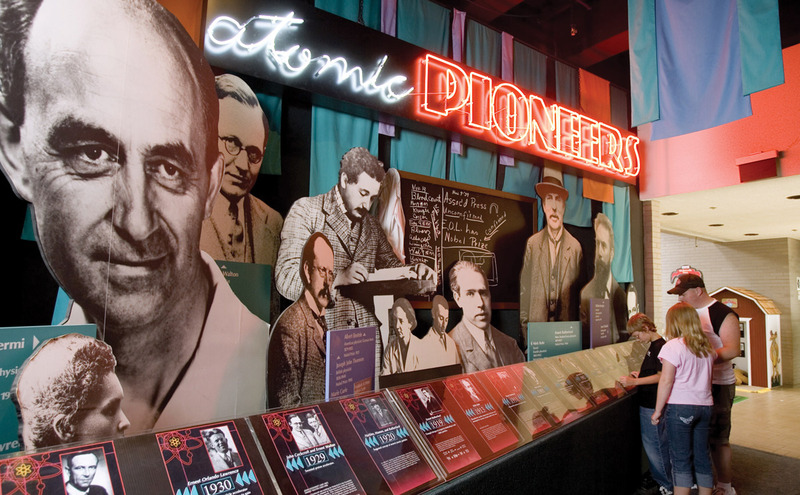 The American Museum of Science & Energy tells the story of the Manhattan Project through photos, video, and a rotating roster of mixed-media shows. Admission includes a three-hour bus tour to a trio of sites within the Manhattan Project National Historical Park. Your guide—a Department of Energy staffer—will introduce you to the Y-12 National Security Complex, a still-active nuclear manufacturing plant established in 1943 for uranium enrichment; the K-25 Building, another enrichment facility and the largest building in the world during its heyday; and the X-10 Graphite Reactor, the world’s oldest nuclear reactor and the first to produce plutonium. The tour, which is open to U.S. citizens ages ten and up, also circles Oak Ridge National Laboratory, the Department of Energy’s largest science and energy lab. It’s home to Titan, the world’s fastest supercomputer; a 3-D printer that produced a Mustang Shelby Cobra automobile; and the Spallation Neutron Source, a research facility where car manufacturer Toyota (among others) is using Spallation’s intense pulsed neutron beams to develop batteries that could one day be used to better power electric cars. 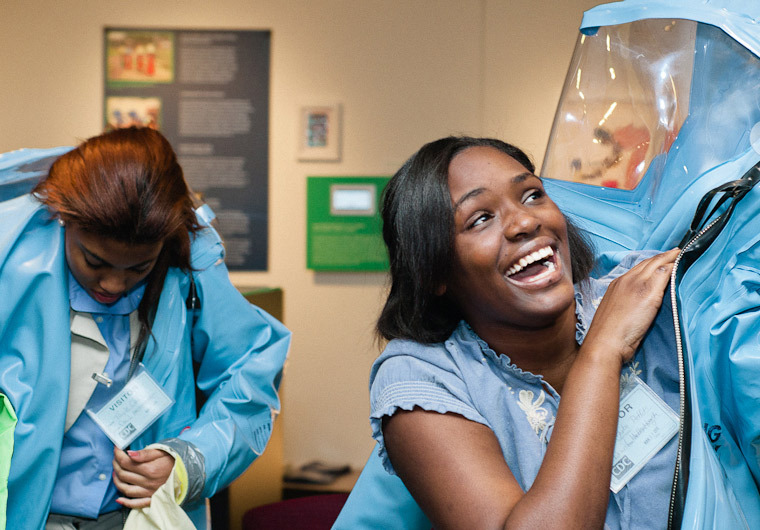 Explore science of a different kind at the David J. Sencer CDC Museum in Atlanta, where the scientists double as sleuths, combining old-fashioned detective work with cutting-edge technology to understand and treat mysterious diseases. The first floor showcases a sprawling permanent exhibit on the history of the seventy-one-year-old Centers for Disease Control, with more than 150 artifacts charting the federal agency’s battles with public and global health crises such as HIV/AIDS, Legionnaires’ Disease, smoking, guinea worm, and polio. The museum also maintains a staggering archive of 3,000 items for public perusal, including an early twentieth-century quarantine sign, a carbon dioxide–baited mosquito light trap, a Ped-O-Jet inoculation gun used to help eradicate smallpox, and an iron lung. Find timely rotating exhibits on the second floor, where topics range from the recent Ebola epidemic (on display through May 2018) to humanitarian design solutions, such as the Atlanta Beltline (beginning October 2018). Down in the swampy heart of Florida’s Everglades National Park, the work done at the HM-69 Nike Missile Site wasn’t exactly rocket science, but it was close. The massive Cold War relic, developed in response to the 1962 Cuban Missile Crisis, sits less than 200 miles from Havana, and the anti-aircraft base remains virtually the same as it was on the day it was decommissioned in 1979. 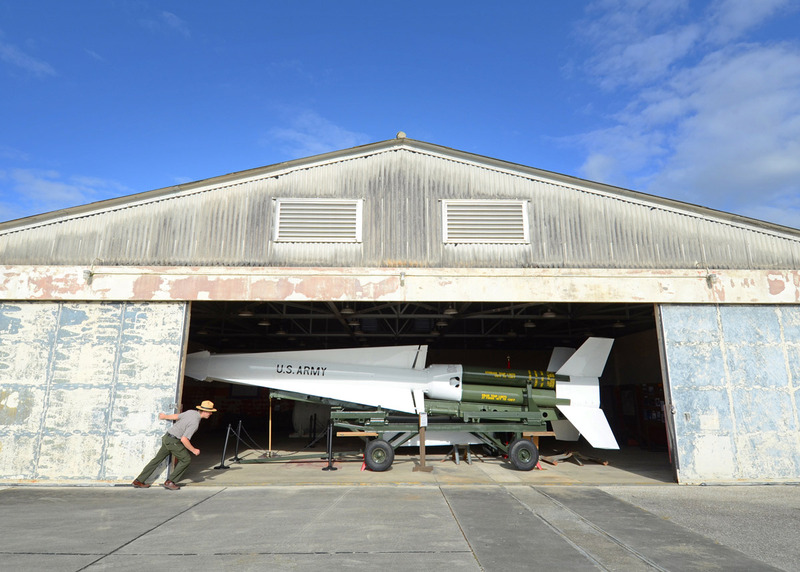 Today, from December to April, park rangers lead daily tours of the complex, which includes three missile barns and a restored Nike Hercules missile. You can walk the battery control and launch areas, imagining how soldiers at the base would scour radar screens for bombers and other air threats, ready to push a button and launch the 11,000-pound missiles—some armed with nuclear warheads—into the sky. Countless worlds of fantasy and wonder have sprouted from the minds of geeks, offering a welcome escape from the laws of reality. They’ve cultivated devout followings, with kids checking the sky for a Hogwarts acceptance letter and adults spending hours trying to appear undead. A stunning theme park and a series of location tours allow fans to dive deeper into these worlds. If you’ve ever dreamed of sitting under the Sorting Hat as it thoughtfully considers your character, then the Wizarding World of Harry Potter at Universal Studios in Orlando will certainly cast its spell on you. Here, entire towns mimic those in the Harry Potter series, J.K. Rowling’s incredibly popular novels about a young wizard and a magical world that exists in secret alongside our own Muggle (or non-magical) one. At Universal’s Islands of Adventure, stroll the streets and shops of Hogsmeade, England’s only all-wizarding village, where sweet Butterbeer pours from taps at the Three Broomsticks pub and Honeydukes peddles treats like Cauldron Cakes and Chocolate Frogs, complete with a wizard trading card in each box. Wander through the castle gates and into Hogwarts School of Witchcraft and Wizardry, where you’ll follow Harry into Headmaster Dumbledore’s office before joining him for a broomstick ride over the grounds. With a park-to-park ticket, you can now board the Hogwarts Express, a fully functional locomotive, and travel from Hogsmeade to Diagon Alley (inside Universal Studios Florida theme park), where Harry was first introduced to the wizarding world. Should there be soul-sucking dementors lurking about the magical London alley, arm yourself at Ollivander’s, where you can pick a wand—or rather, let the wand pick you. At the far end of the alley, enter Gringotts bank (marked by the fire-breathing dragon on its eave) to see the grand marble lobby where goblins keep the books. There, you’ll climb into a cart that plummets deep into the bank’s subterranean vaults, where you just may run into Harry and his best friends—or even He-Who-Must-Not-Be-Named. Keep your wand at the ready just in case. If good-natured gore is what you’re after, head to Atlanta, which reigns as the country’s most livable city for zombies. Just ask Atlanta Movie Tours, whose Big Zombie experiences are inspired by the post-apocalyptic AMC series The Walking Dead, shot in Georgia. 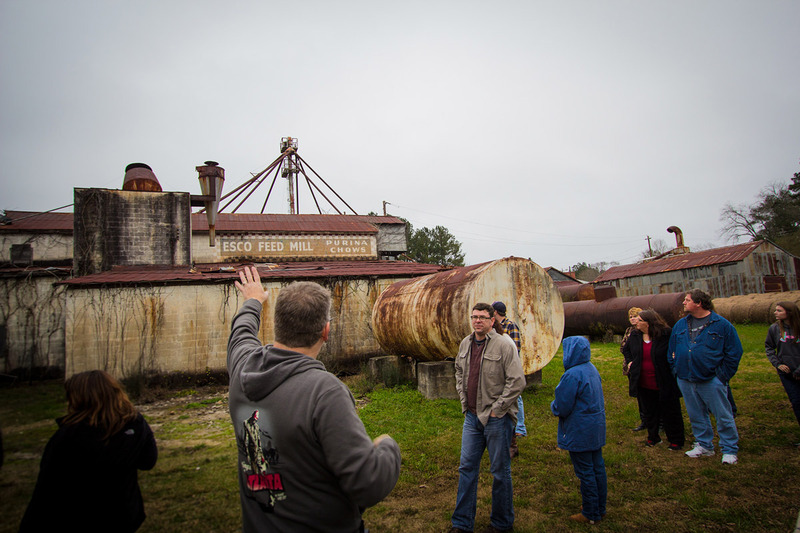 The company offers three chronological tours guided by a character or insider from the set who will share behind-the-scenes anecdotes as you visit key locations. Non-zombie fanatics can join you: The guide shows clips from the show to provide context. Walk the eerie corridors of the hospital where the zombie virus first festers in the pilot episode, or opt for tour number two to test your own walker-battle skills in the abandoned, kudzu-choked warehouse area known as the zombie arena (to which Atlanta Movie Tours has exclusive access). The third tour covers season six and circles back to iconic locations skipped on the first two tours, so if you make all three pilgrimages—as diehard fans of the undead should—you’ll have lurched through nearly the entire series. If you’d rather walk among the living dead, join Georgia Tour Company’s live-action, interactive theatrical production, the Touring Dead II–Survive the Ride. From the moment the six-hour walking and bus adventure begins in the fictional Walking Dead town of Woodbury (or Senoia, about an hour south of Atlanta), you’re no longer on a pampered tour: You’re fighting for survival alongside rugged hero Rick Grimes, taking on whomever—or whatever—you might stumble across. You must be at least thirteen years old—and unarmed—to pit yourself against the “walkers” in this monster mash. The company also offers a two-mile walking tour of Walking Dead filming locations around Senoia. Billed as the largest gathering of its kind, Dragon Con celebrates science fiction and fantasy, gaming, and comics. This Labor Day weekend rite showcases virtually every kind of cosplay in the galaxy, as preening attendees strive to out-freak each other—and gawkers turn out in droves to watch. Not to be missed is the Saturday morning parade up Peachtree Street. Spectacle aside, the conference is also known for its serious panels on art and literature. 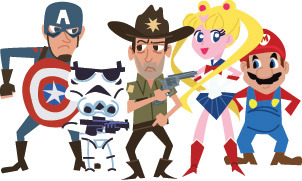 Started by a Georgia Tech anime club in 2004, this four-day festival in May celebrates Japanese anime and manga, American animation, comics, video games, and tabletop games. One of the fastest-growing all-ages conventions in the country, parents are encouraged to bring children and need not worry about excessively adult content and merchandise. Highlights include martial arts programming and mingling with celebrity voiceover artists, designers, and writers. This carnival of zombies puts fans under the same roof as their favorite actors from The Walking Dead. Cast members sign eight-by-tens and pose for selfies (both for a fee) in a relaxed, family-friendly atmosphere. The free celebrity Q&A panels afford attendees the opportunity to ask actors questions on the main convention floor—no tickets required. The three-day event returns to Atlanta for the fifth time in October. 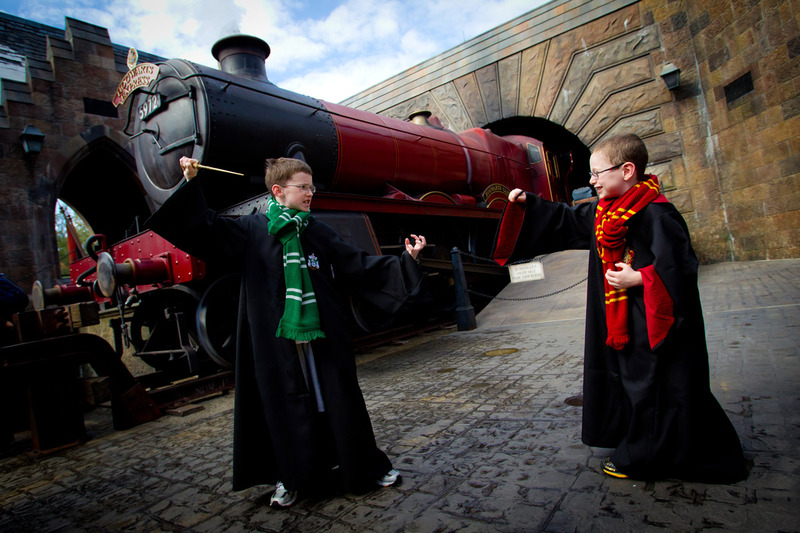 This magical fantasy convention started in 2014 as a children’s Harry Potter–themed day camp, but expanded to include all ages after so many adults expressed interest in the programming. The November event now explores other magic-driven literature, such as The Lord of the Rings and The Lion, the Witch, and the Wardrobe, with authors and performers leading bewitching panels and workshops. Attendees are encouraged to don their most enchanting attire.